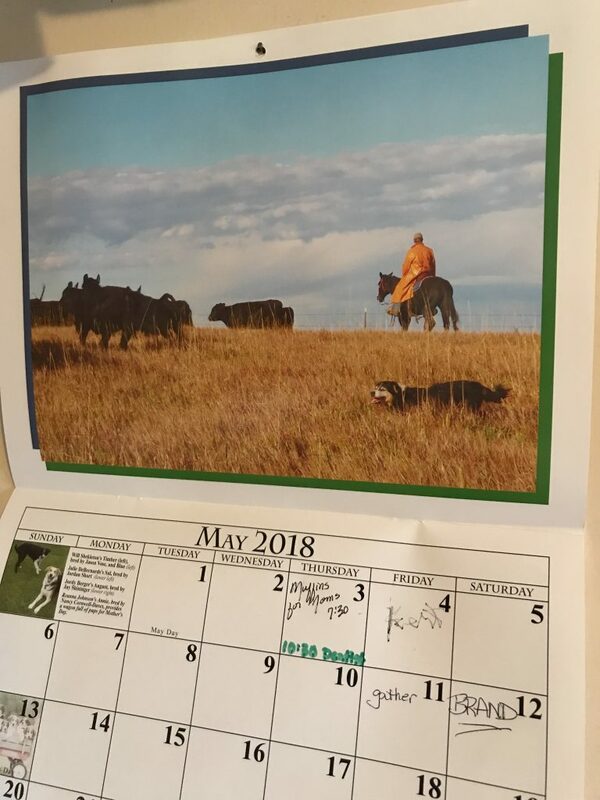 This #tbt is actually from May 2018’s English Shepherd calendar. So current, but not… You might just recognize Miss Dally and Daniel. The photo is two years old. Hope you’re keeping everyone from having fun in heaven, Dally! You tried so hard here on earth! You were one of the best Fun Police I’ve ever known. Whatever makes YOU happy… rest happy, old girl! Last chance for questions for the next Q and A… I don’t have that many… c’mon, folks! I hope this #tbt works… kinda sorta! How many horses do you have on your ranch? I don’t know if you have the question I asked about the white calf (or calves) on your list, but in case not, what do you do with them? Do you or any extended family members participate in rodeos or 4H? So that is where Lark gets the “no fun allowed around here” attitude. What do you think killed off your bees? Cold, insufficient food to get through the winter, disease, parasite(s)?